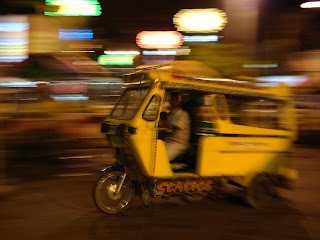 Ramblings from an Over-Squozen Brain: Greetings from Mindanao, Philippines! Patrick and I arrived safely in Cagayan de Oro from Manila this morning but this is the first opportunity to get in the Internet I've had since Tokyo. So let me catch you up from there. On the flight from Tokyo to Manila we asked for seats on an exit aisle, as we do on every flight. They told us they had seats but they were upstairs! That was the first inclination that we would be on a double-decker plane. What a blessing it was, too! The exit row we were assigned to was about five feet wide ... talk about space! Patrick and I had plenty of leg room plus an empty seat between us ... it couldn't have gotten much better! 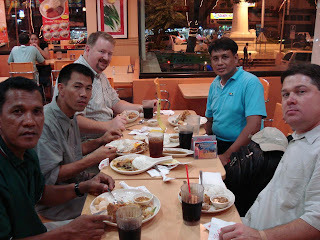 We got into Manila sometime after 10:00PM local time and by the time we gathered our luggage and got to the hotel it was well after 11:00PM. We were both bushed from having traveled all day ... we had arrived at DFW at 7:00AM Pineville time and didn't arrive in Manila until 9:00AM the next day Pineville time – 26 hours of travel after having driven from Pineville to Dallas. Needless to say, we were bushed! We got to bed pretty soon after getting to the room but because our bodies are still on Pineville time, we woke up around 5:00AM local time, well before our alarm was set to go off. So we got ready leisurely and had a wonderful time of prayer and devotion together. Then back to the airport to catch the flight to Cagayan de Oro on the southern island of Mindanao. (There are over 7,000 islands in the Philippines.) 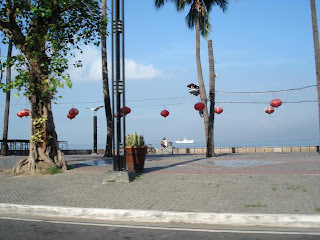 It was neat driving past Manila Bay, which I had heard my dad speak of many times. He almost drowned in Manila Bay when he was a sailor stationed in the Philippines in the 1950's. Had it not been for a Filipino fisherman in a bankaboat, I wouldn't be writing this today! We arrived in Cagayan de Oro a little ahead of schedule due to a tailwind. Two of the Filipino brothers were on hand to greet us and told us that the third would meet us at the hotel, that his 8-hour ferry ride had turned into 13 hours due to engine troubles. The two that were there to meet us had each traveled over 4 hours via bus from opposite directions. We loaded up in a minivan and headed for town. The Philippine islands are located close to the equator so the climate is much like Central America and it is very tropical. There are so many things that remind me of Central America – the busy streets, the concrete construction, the contrast of opulent wealth and stark poverty side by side. There are also private security guards at just about every business establishment. In fact, the security guards at the hotel in Manila checked under the taxi with mirrors and we had to walk through a metal detector to get into the hotel!!! (The taxi driver told us it was just for show. :) ) The Filipino brothers told us that Cagayan de Oro is one of the safer cities in the Philippines and it definitely feels that way. After getting settled in our hotel rooms we met with the brothers for lunch and some “getting to know you” time. Patrick had been corresponding via email with each of them since the first part of the year, but it was good to get to talk face to face. You could sense their excitement that we had arrived and it was a pleasure visiting with them. After lunch we retired upstairs to our room where we shared the history of Christians Sharing Christ and some background information on Patrick and I and how we got involved in the ministry. We asked them each to share some more in depth background on themselves, especially how they came to be interested in film evangelism and how they found out about CSC. Each shared a similar story of seeing the impact films had and looking on the Internet for a ministry that specialized in it. One of the brothers said that when he found CSC's website he noticed much of our ministry was in Spanish speaking countries and he wondered since the Philippines were originally a Spanish colony if we would be interested in expanding our ministry here. Then Patrick broke out the training manuals and we spent the rest of the afternoon on that and then some wonderful time in prayer together. We made our way to a Chinese restaurant and enjoyed a good meal together. Walking back to the hotel through the streets was an experience. There are all sorts of vehicles going all sorts of directions, seemingly without much order. 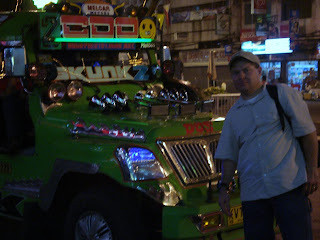 One of the common forms of transportation is called a “Jeepney” - the front end looks like a jeep or a WWII vehicle and the back is an open bus. It's one of the cheapest forms of transportation and every one is painted unique to the owner/driver with lots of chrome add-ons. There are also a lot of “tricycles” - motorcycles with an open minibus type attachment welded to the back. They're all over the place. 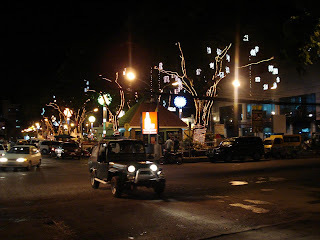 The boulevard is beautiful with rope-lights in the trees and beautiful light poles. There are lots of people out, vendors, shoppers, people just congregating around. Again, very similar to our experiences in Latin America. We finally made it back to the hotel and I sat down to write this report. As I write, it is a little after 8:00PM here, a little after 7:00AM there. You are starting your day and we are going to try to get some sleep. Shouldn't be too hard as we are exhausted! Please pray that tomorrow will have continued success. Patrick and I both bear witness that all three of these brothers are sent by God to be a part of CSC. We need to appoint one of them as the Country Director and we feel we know which one. But we asked them to visit together and pray tonight and that we would discuss it tomorrow. We also need favor from the Lord tomorrow as we will be purchasing a set of equipment for each man: video projector, dvd player, compact sound system, cables and a strong suitcase for all the equipment to be safely protected in. We will also be buying bicycles for two of the brothers. Once we purchase all the equipment then we will have training classes on how to use it. We have two days left here before we head off to Nepal and do it all over again! That wraps this report up. Thank you for your prayers – we can certainly feel them. 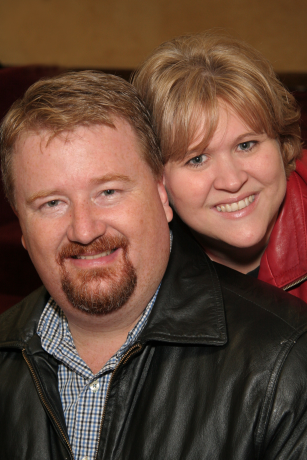 Please continue to pray for our strength and stamina and that we can quickly adjust to the time zone difference. We appreciate your support! Thanks for the added pictures. They sure joggled my memory pack. The story of the Philippo fisherman saving me is true enough. The Lord was in that rescue. The undercurrents were pulling me out in the bay. My strength had given out. That's when I heard the butta-butta-butta of the fisherman's boat. The Lord sent me a savior that day. I can see that the Jeepneys are as colorful as ever. Anyway, thanks again for keeping everyone updated. You certainly don't need to be concerned about prayer covering. All is taken care of. Much love to you and Patrick. Thanks for the comment! I thought about you so much as we traveled around and how much you love this place. I have shared with many here about your love. I hope you and mom could come ... it would be awesome!!! I love you! Abby says "I miss you Daddy! I love you to the moon and back!! I will be praying for you everyday! We are about to leave for Nana and Papa's. Your daughter, Abby"
I have enjoyed the blog updates on your trip. It is so awesome to be able to keep up like this. We are praying for you guys. Reading your Blog makes me want to board a plane for a mission trip. Still in our blood I guess. I love you man! Thanks for the comment, bro. Yep, it's still in our blood. This is another one of those moments when I think to myself, "Am I really getting to do THIS?" Serving the Lord is a blast!!! Let's plan on Coatza in '08!!!!!!! Hey we are enjoying the pictures!!! I have only been on one airplane, actually two in my entire life. I bet riding on a double decker was awesome. It is so great what the Lord is leading you and Patrick to do overseas. It sounds so rewarding &fun especially to a Louisiana girl who never has traveled very far, much less overseas. We miss you and Pray a hedge of protection about you and all of your efforts. Sounds like you guys are having a blast!!! It is a rainy Independance day here in the vill'o the pines. But oh well! It is a beautiful day anyway. Keep spreading the gospel! We are all praying for you and patrick to be used mightily! Thanks for the kind comments! I have to pinch myself sometimes to think that the Lord would allow a simple fellow like me from Pineville to travel literally around the world sharing the Gospel and empowering others to do the same. What an honor!!! Who knows what doors the Lord will open for you, too! Thanks for your prayers! Jon, thanks for getting the word out to the CCI folks about the cancelled bonfire. Sorry to hear y'all had a wet 4th. I hope you enjoyed it anyhow! Thanks for holding down the fort for me while I'm gone! Keep up the good work!